Brett Anderson, a weather expert (and the expert on Canadian weather) at AccuWeather.com, lists the signs and symptoms of a coming La Nina season. 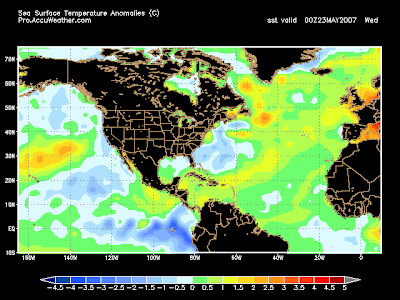 La Nina is caused by lower than normal temperature of the sea surface in the Pacific Ocean during summer. And it affects weather all over the world.